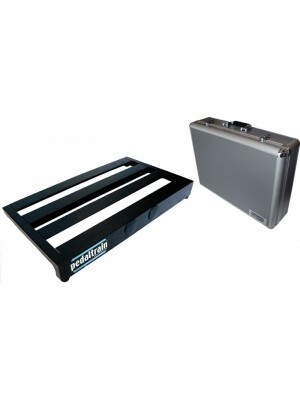 In 1999 the J. Chandler Company introduced the Pedaltrain brand of guitar effects pedalboards. 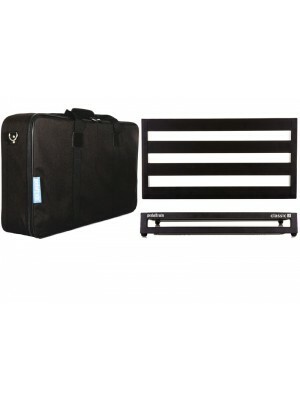 This award winning product line has become widely recognized as the industry standard in affordable pedalboard systems; combining innovative, patented designs and tour proven durability. 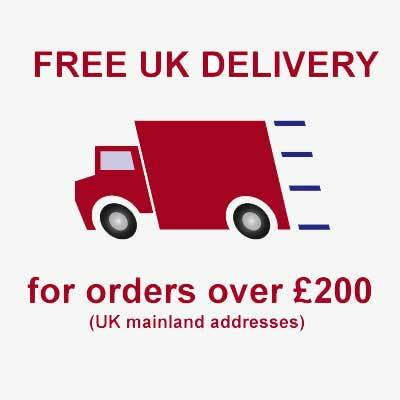 In 2005 Pro Stage Gear LLC was formed, building on a six year foundation of quality, service and value. 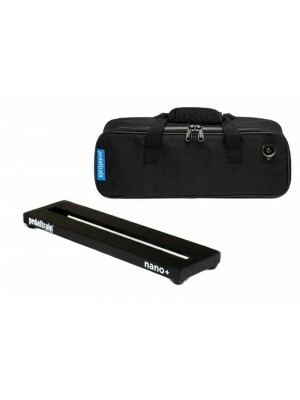 A compact pedalboard frame, perfect for players who want to keep their setup small and simple, or fo..
PEDALTRAIN CLASSIC 2 PEDAL BOARD with SOFT CASE Pedaltrain’s all-new Classic Series is rooted in ..
Don’t let its small size fool you. Nano+ is the foundation of some very powerful rigs. Na.. 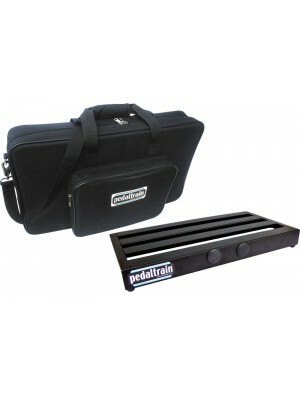 The Pedaltrain that started it all is back and redesigned with all the latest upgrades. 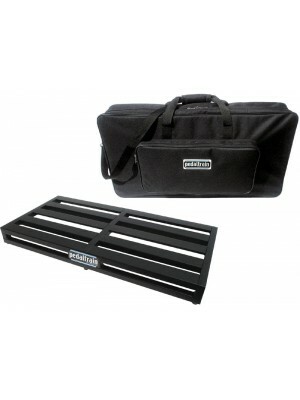 This tough m..
For the player who needs a large pedalboard without the extra bulk (or expense) of a flight case. 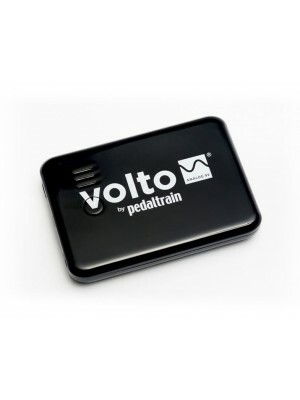 A ..
Volto is the world’s #1 rechargeable pedal power supply. Volto is an efficient and super quiet alte..